We’ve all been there—we get so used to our regular routines of taking our vitamins and other daily medications that sometimes we slip up without even thinking. We take something twice, or we don’t take it at all. 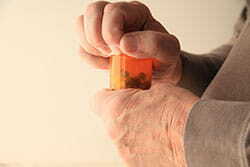 For some of us, missing a dose of our medicine isn’t a big deal, while for others, it can be life threatening. Remembering to take all of your medications at the right time can be overwhelming, and helping out a loved one keep their medications straight is difficult, especially if you live far away. These pill reminders make your life easier by reminding you when to take each dose and make it so loved ones can lend a helping hand in the process. Depending on your lifestyle, you may find that one solution is better than the other. If you’re the type of person who is always on the go and away from your home, an app may be the best solution for you. Be sure to carry your pills with you, though, whether they’re in the bottle or in a dispenser (like this one on Amazon). If you are typically home when you need to take your medication or if you have many pills to take, an automated pill dispenser is probably better for your lifestyle. Read our reviews below to see which one fits your needs. The GMS automatic pill dispenser is one of the best pill dispensers currently available on the market. It holds 28 doses of pills and can be programmed to set reminders for taking pills from one to six times daily. It has great customer reviews because of its customization abilities, its smaller size (a bit smaller than a disposable paper plate), and the loudness of the reminder alarms. Plus it easily locks in order to prevent overdoses or the program from being changed by someone who doesn’t have the key. The GMS pill dispenser costs around $79, and the pill dispenser comes with six different compartment rings so you can customize when your pills need to be taken. 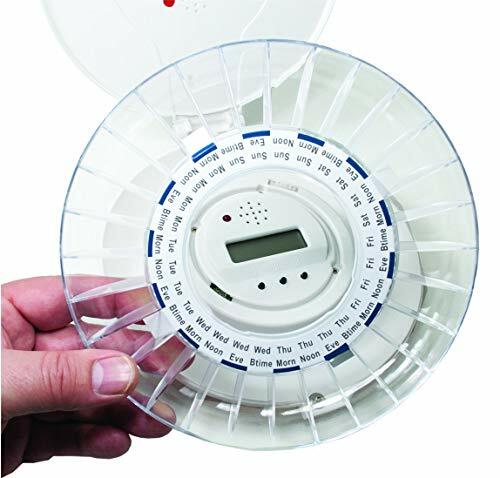 It also has six alarms to help distinguish when it’s time to take different pills. The downside is the person must be within the vicinity to hear the alarm. 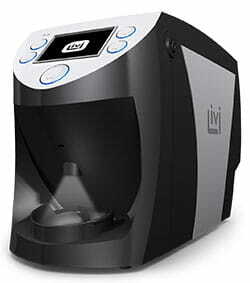 The Livi pill dispenser is expensive (over $1,000), but it is an excellent option for those who want more automation options with their pill dispenser. We like that it can hold up to 90 days of medication for up to 15 different pills. The Livi holds more medications than any other pill dispenser in this article, which is why we think it’s one of the best. It prompts users when to take their meds and provides visual and audible instructions on how to take them (i.e. take with food, full glass of water, etc.). Livi also keeps track of the user’s medication history, and it can share this information with physicians and caregivers. Livi gives caregivers peace of mind knowing that someone (or rather something) is making sure patients or loved ones are taking their medications appropriately. In the event that the user misses a dose, Livi alerts caregivers via email or text. Medisafe is a free app that can be used on any Android device, iPhone, or Apple Watch. The virtual pillbox reminds you when to take your medication and how much of it to take. One of Medisafe’s unique features is Medfriend, which notifies a family member, friend, or caregiver when users miss a dose. The Pill Reminder app not only reminds you to take your pills, but it also reminds you when to have your prescriptions refilled. The free app tracks all your medications and gives you access to information on how the drugs may interact with one another in addition to each medication’s dosage and side effects. 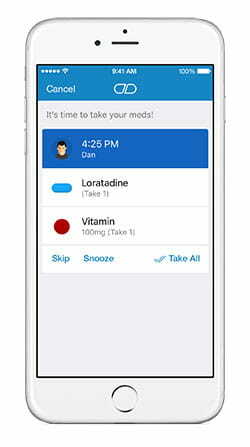 You can add photos and notes to your pill reminders, like “take with food” or “take with full glass of water.” Through Pill Reminder, you have quick access to your medical information, and you can snooze the reminders if you’re busy at the time. Sometimes, forgetting to take your daily medication isn’t too bad, but other times, it can result in a trip to the hospital. Simply put, following your doctor’s instructions on medication keeps you healthy and safe, and pill dispensers and reminders will help. Do you have a prescription pill reminder you recommend? What is it?